Burney Falls: The Happiest Place on Earth! ...Jade got to catch a fish with Grandpa Severson! ...Lawrence hiked/scrambled ALL the way to the base of the falls pool and felt some of the small trickling waterfalls, proudly exclaiming, "I touched the Burney Falls!" ...we went on a night hike along the rim trail and up the falls trail! ...Uncle Matt and cousin Ezra caught the most enormous tadpoles I've ever seen! ...we all felt a little nostalgic thinking that next year, Nana and Papa will be missing the Falls at memorial day...the mission calls! ...everyone was relaxed and happy and in heaven in the happiest place on earth! The words of Dr. Gary Booth have been echoing in my head this week... "Behold, Biology IS life!" Male Mallard duck taking flight. A Snowy egret striking a pose in the mud. A blue heron striking almost exactly the same pose. Lots... and I mean LOTS and LOTS... of these little snails peppering the mudflats. 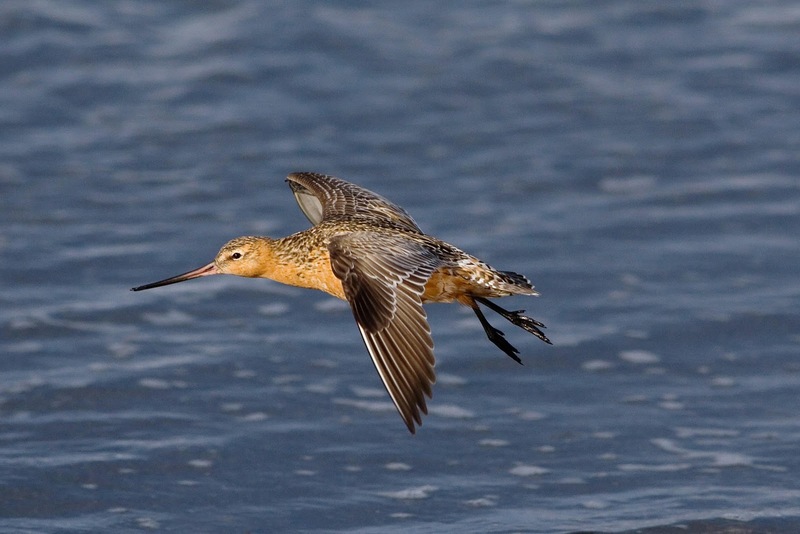 This little Marbled Godwit spells death for those little snails... watch out for that beak! After coming home, Larry named these four birds and told me how to identify them--by their color, size, and length of leg or beak. It was very helpful that dad had taken pictures :) Call of the Wild, Requirement 3: COMPLETE!! 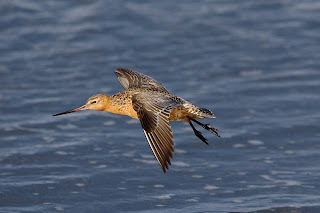 During our research we learned that the Bar tailed Godwit (the species on the Asian side of the Pacific) have been known to fly over 7000 miles non stop. One named E7 flew from Alaska to New Zealand in one flight! That such a small bird is the record holder for longest single flight is amazing. I really should have learned how to swim! For Xochitl's birthday, we took on a month-long science project: trying to incubate and hatch quail and chicken eggs. We tried this about a year ago with four little chicken eggs... none of them hatched and only one had developed at all. This time, we had 12 chicken eggs and four quail eggs. None of the quail eggs made much progress, but as for the chickens, we were able to witness a lot of growth and learn a lot about the hatching process. About 12 days after starting the incubation, we "candled" the chicken eggs, meaning that we held a bright light underneath them to see if any embryos were forming. It's really amazing! ...but in a fertilized egg, you see shadows, dark splotches, and spidery veins throughout (if you zoom in on this egg, you'll see the vein patterns on the right side of the egg.) What's really fun about candling is that you can actually see the embryos responding to the light and movement... the little chicks actually wiggle around in there! At least four of our eggs had strong veins and movement when we candled them on day 12. We were feeling excited for our little eggs and were hopeful for a few healthy chicks to arrive! On May 8 (day 18), Jade helped me set up the brooder with some shavings, food and water dish, and heating lamp for the chicks. After that day, we turned the eggs for the last time and set the incubators into "lockdown." At this point, the chicks are getting ready to hatch and they have to find their way to the air pocket at one of the egg to prepare to pip and unzip and hatch! So we waited. Waited for the little chirps we were supposed to hear from inside the shells. Waited for the eggs to wiggle to and fro as the chicks positioned themselves correctly. Waited and watched for any little pip or crack to appear. Nothing. Day 21 (normal hatch day) came and went... as did days 22, 23, 24, and 25. Our eggs were just as still and quiet as they had always been. Finally, at the end of day 25, it was time to call it quits. I put on my Biology teacher hat and prepped for the "egg-topsy" to find out if anything had developed. I'll spare you any nasty details... suffice it to say that most of the eggs had not developed and some appeared unfertilized. It was very interesting to examine the first little lifeless chick...but as the second and then the third appeared, I felt that Biology teacher hat falling off as I saw the sad faces of my kids and felt myself get teary-eyed for these little chicks that didn't make it. I knew from the beginning it was a long shot... it's a very delicate and intricate process to get eggs to hatch, but I couldn't help soaring up on the wings of anticipation, hoping for darling little fluffy chicks to appear... I felt invested in their survival, and felt that I had failed them to somehow. But such is life. Sometimes, the circle of life is very small. Such are the ups and downs of the study of life...and death.